Sunnyhills School Environmental Blog: Is a chocolate bar a fruit? Of course a chocolate bar is not a fruit says Room 8, but how do our clever five year olds know? 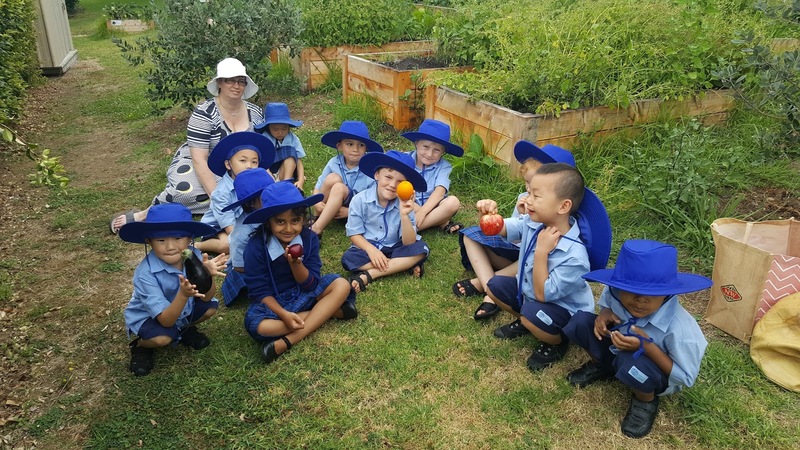 We went to the edible gardens, with Mrs Daniel, to explore the orchard and find out what makes a fruit, a fruit. Room 8 found pear trees, plum trees, an apple tree with apples growing on it and much more. 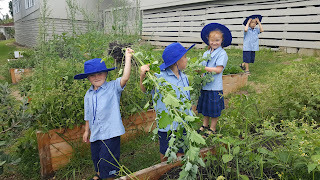 The children helped pull some giant weeds that were crowding our gardens too. We put them in the compost to make nutrient rich soil for our gardens. Nothing goes to waste; that's being sustainable! 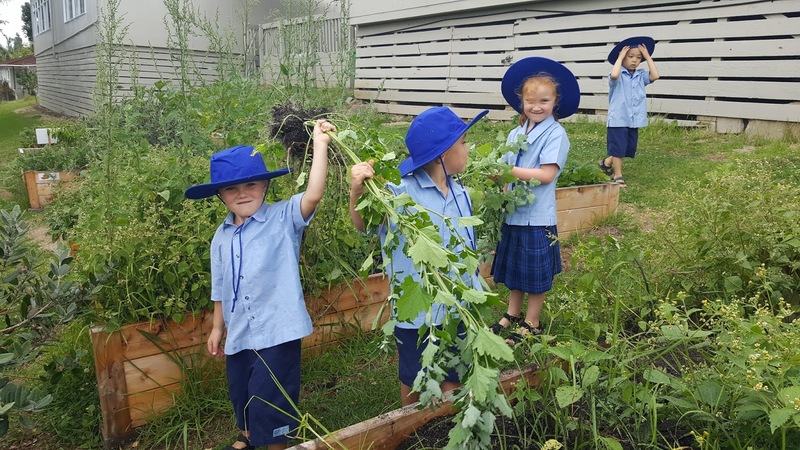 After looking, thinking and talking we decided fruit has to grow on a plant or a tree. Also fruit has seeds inside. So no; a chocolate bar is not a fruit. We're looking forward to learning more about how bees are garden helpers in our next enviro lesson. That's so awesome! Never underestimate the 5 year olds!